Spirit horse that really eats! 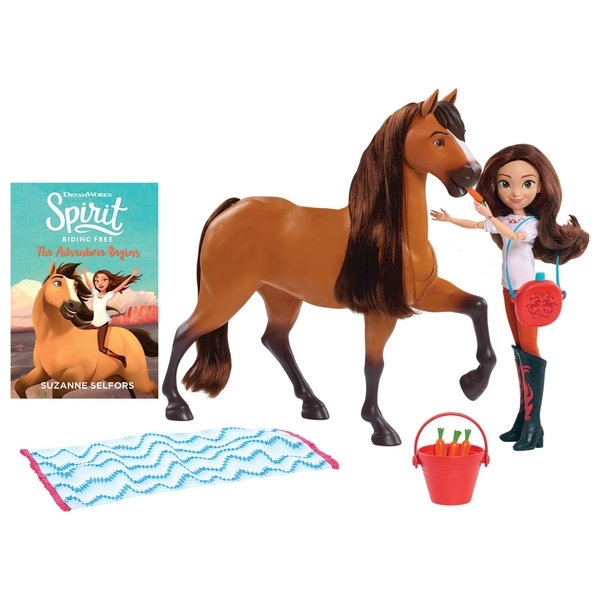 The Spirit & Lucky Deluxe Feeding Set, inspired by DreamWorks Animation series, Spirit Riding Free, is the ultimate horse and doll play experience! ! Lucky can feed Spirit carrots and Spirit will really eat them! Just press the button on the back of Spirit to activate realistic mouth and jaw movement. Spirit can dip his head down when it's time to eat or drink just like a real horse! Lucky comes dressed in her signature outfit and special boots from the show. Lucky can ride Spirit and also features poseable arms and legs so kids can move her into fun action poses!